Prof Hahn, from the Institute for Food Science and Human Nutrition at Hanover Leibniz University, said the European Commission had made another mistake with its latest ruling. The new material is 100 times lighter than styrofoam, according to reports. The secret to its lightness is a cellular architecture fabricated from hollow tubes that supports a material structure that is in reality 99.99 percent air, according to the research team that built it. That means the material’s density is less than one-thousandth that of water. And the stuff is pretty resilient as well—researchers said that when squashed to half its height, the material rebounds 98 percent of the way back. “The trick is to fabricate a lattice of interconnected hollow tubes with a wall thickness 1,000 times thinner than a human hair,” lead author Tobias Shandler of HRL said, according to the Los Angeles Times. 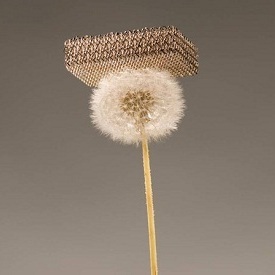 The material seen resting on a dandelion seed head in the picture above is 90 percent nickel, according to the Times, but Bill Carter, manager of the architected materials group at HRL, told the newspaper that it can be made out of other materials as well. One UC Irvine researcher involved with the project suggested the ultra-lightweight material might be used for impact protection, and might have applications “in the aerospace industry, acoustic dampening, and maybe some battery applications,” according to the Times. The material behaves somewhat like a feather when dropped, floating to the ground, Carter told the paper. “It takes more than 10 seconds, for instance, for the lightest material we’ve made to fall if you drop it from shoulder height,” he said. Police confirmed today they will reopen the investigation into Natalie Wood’s death and said they may use new DNA technology after receiving ‘credible and substantial information’. They said, until they find evidence to say otherwise, her death will still be ruled as an accidental drowning and would not say who or where the ‘credible information’ had come from. 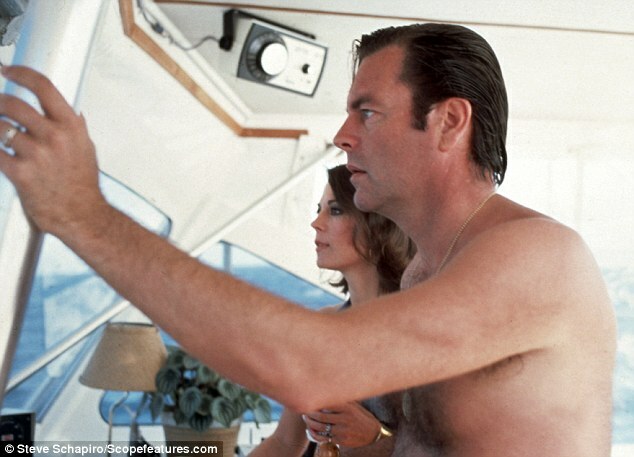 The sheriff said at this point Robert Wagner is not a suspect and would only say they would follow up on leads and reevaluate the evidence in the death of the actress. One of the key witnesses in the reopening of the investigation is the captain of the Splendour boat from which Ms Wood fell and drowned in 1981 who police confirmed they would soon interview. Dennis Davern blamed Ms Wood’s husband for the murder, claiming that – at the behest of Wagner – they did not do enough to find Ms Wood, after he advised against calling coastguards for four hours. Mr Davern, Ms Wood, Wagner and her Brainstorm co-star Christopher Walken had been boating near Santa Catalina Island just off the coast of California. The three friends had been drinking heavily and investigators ruled after interviewing all parties on board that Ms Wood’s death was by accidental drowning. But now Mr Davern has admitted he lied in the police report and that he believes it was her husband who was responsible for her death. He told NBC today: ‘I made some terrible decisions and mistakes. I did lie on a report several years ago. Wagner has yet to speak out about the new claims and has remained out of the public eye, holed up in his Hollywood mansion. His publicist released a statement saying they were leaving the matter in the hands of the LA County Sheriff’s department but appeared to blame Mr Davern for trying to profiteer from her death. At a press conference in California today, police said in their eyes it is still an accidental drowning and will remain so until they follow up on the new information. Meanwhile Ms Wood’s sister Lana today said she never believed the account Wagner gave police about her sister’s death. She also says she’s not buying the story that Natalie was trying to secure a dinghy and fell overboard because she was deathly afraid of water, to the point she wouldn’t even go in her pool, according to TMZ. The former captain spoke extensively to Marti Rulli, author of the book Goodbye Natalie, Goodbye Splendour, published in 2009 while she was writing it. Speaking to CNN today he told them that though he never saw Wagner push Ms Wood or be in any way violent towards her, he still holds him responsible for her death. Witnesses said they heard a woman scream around the time Ms Wood disappeared but he said he did not hear any scream but only ‘a lot of yelling, a lot of moving about’. Mr Davern did say that he was on the bridge of the boat and had music on loud so he could drown out the noise of their arguments. Co-author of the book Ms Rulli said she believes the actresses death was not adequately investigated at the time, saying: ‘The case was never really investigated in 1981, and yes, I am relieved they are going to give the case the attention it has always deserved. She said Ms Wood was missing from 11.05pm, but a ship-to-shore call wasn’t placed until 1.30am and the Coast Guard wasn’t called until 3.30am. ‘This unacceptable delay in reporting a person missing from a yacht was never officially examined,’ she wrote in the dossier. While writing the book, Ms Rulli performed a forensic test on down coats similar to the one Ms Wood was wearing when she drowned which prove they act like a life jacket in the water. Young Natalie Wood (as “Susan”) in her bunny suit, leaves the party to rescue her lambs, in a sequence said to have caused her life-long fear of water, from The Green Promise, 1949.